Attorney Creenan counsels individuals in estate planning, estate administration, real estate and business law. She is active in assisting business owners develop better business practices to meet their organization’s legal needs, including real estate leasing and corporate record-keeping. Ms. Creenan is a 1996 graduate of Duquesne Law School where she earned her Juris Doctorate. In 1993, she graduated from St. Vincent College with a B.S. in Political Science and was the recipient of the Academic Excellence Award in Political Science. She was admitted in all Pennsylvania state courts in 1996 as well as the U.S. District Court for the Western District of Pennsylvania. Ms. Creenan currently works as an associate at Creenan & Baczkowski, P.C., providing excellent client services in the area of estate planning, estate administration, and elder law including wills, powers of attorney, healthcare powers of attorney and guardianships. She also concentrates in assisting small business owners in various matters including incorporation, planning, leases, contracts, and litigation. Prior to working at Creenan & Baczkowski, Ms. Creenan worked as a deputy staff attorney on the Supreme Court of Pennsylvania and as a deputy judicial law clerk on the Superior Court of Pennsylvania. Ms. Creenan also worked for a mid-size litigation firm in Pittsburgh concentrating in insurance defense, estates and trusts, and commercial law. She has litigation experience in Westmoreland, Allegheny and surrounding counties. Ms. Creenan also served as an adjunct professor at Duquesne Law School for five years. 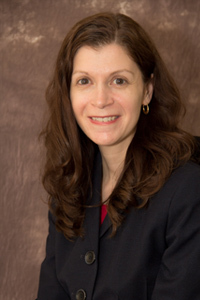 Ms. Creenan is active in several professional memberships including, the Pennsylvania Bar Association, the Allegheny County Bar Association, and was named a Fellow of the Allegheny County Bar Foundation. She also serves as a Board Member of the Murrysville Business and Professional Association and formerly served as a board member of Neighborhood Legal Services Association, which provides civil legal services to the poor. Ms. Creenan had furthered her education by completing leadership training programs through Duquesne University's Nonprofit Leadership Institute Boarding School in the spring of 2011 as well as engaged in 30 hours of Conflict Resolution and Mediation training at CVVC Dialogue and Resolution Center in August 2011. In terms of civic activities, Ms. Creenan is a Member of the Westmoreland Chamber of Commerce, the Franklin Regional Youth Commission, the United Way Women's Leadership Council, the Westmoreland Museum of American Art, the Latrobe Art Center, Mother of Sorrows Church and its service organization, Mother Teresa Outreach. She is also involved in several alumni organizations including Duquesne Law Alumni Association, St. Vincent College Law Society, and is a former member of St. Vincent College Alumni Council, where she was named the 2011 recipient of the Father Camillus Long, O.S.B., Award. for dedication to St. Vincent Alumni.